How many of you take 30 minutes to yourself each day? How many of you make yourself a priority before your husbands, partners, or your kids? If you aren't you need to find time in your day where you can just take care of you! WE ALL NEED TO TAKE SOME TIME. I hear it so much, I don't have time, there is no where in my day for just 30 minutes. And it isn't just about getting a workout in, I mean, just alone time to decompress from the day and things going on around you. The reason why I dedicate 30 minutes of my day to exercise is because it has become my therapy. It not only helps me feel energized and ready to tackle the day, but it allows me to be able to cope with the daily stress of life. When I don't exercise I feel like I am going to crack under the constant pressure of my kids yelling at me, or having to play referee plus trying to keep my house cleaned and up to snuff. If you find that you are easily overwhelmed, or feel like the day is just closing in on you. Or you just need an extra boost, MAKE TIME EACH DAY! We all have it. Somewhere. You just have to make you a priority. 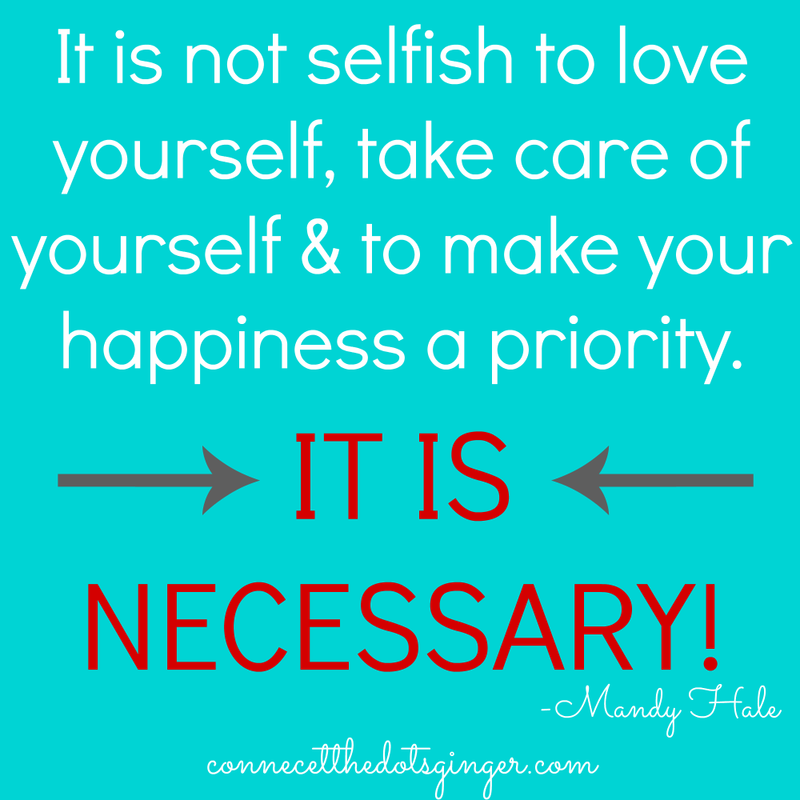 What are you going to do today to make yourself a priority?